Samui Amanda Resort isnewly opened waiting to welcome the clients in search of relaxing holidays away from the noise and crowd. Offering unbeatable service from our experience staffs, beautifully flourished gardens and quiet private beautiful sunset Beach is ready to embrace you into another world in Samui. pool and Jacuzzi with children's area and restaurants serving Thai, aswell as International cuisine. We have a Wi-Fi service, Tours Desk, Car and Motorbike Rentals. All rooms areair-conditioned, with hot and cold water, there is color-satellite TV, a mini-bar. Our sea view bungalows are ideal for couples or families looking for larger spatial grounds, extensive comfort and direct views to the beautiful sea through a terrace and balcony. 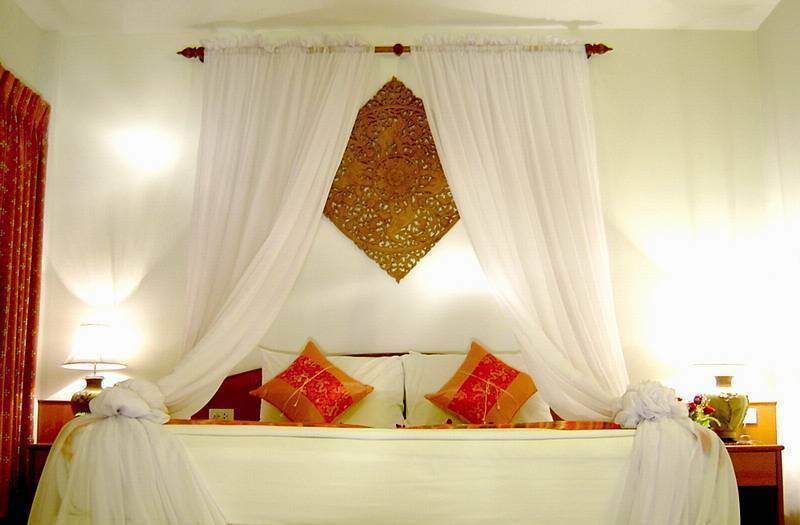 Just 20 minutes from Chaweng beach and 4 Km. Samui Amanda Resort where you can see the sun slips from the horizon. Honeymoon Suite They are built in unique style with elegant thatched roofs. The interior design of bungalow is modern convenience providing. Every of them is to have a satellite TV, new air-conditioning, mini-bar and telephone. The room all have own balcony offering pleasant views of the private flower garden and some also are the sunset sea view and beachfront bungalow. Payment would be made before guests arrival. 1 night charge for no show and less than 7 days before arriving.